On June 27, 1806, British mathematician and logician Augustus De Morgan was born. He formulated De Morgan‘s laws and introduced the term mathematical induction, a method of mathematical proof typically used to establish a given statement for all natural numbers. As a computer scientist, I am of course familiar with De Morgan‘s laws, which are fundamental for Boolean logic. De Morgan‘s laws are merely transformation rules for two of the basic operators of logic: conjunction and disjunction. The trick, how De Morgan succeeds to transform a conjunction into a disjunction is by applying negations. But, don’t worry. We won’t go deeper into that. If you are further interested in the subject, simply refer to the wikipedia article of De Morgan‘s Laws. Instead, let’s take a look at the man Augustus De Morgan. Augustus De Morgan was born in Madurai, India as son of Colonel Augustus De Morgan of the East India Company. Augustus De Morgan became blind in one eye a month or two after he was born and the family moved to England when Augustus was seven months old. At age ten, Augustus‘ father died and his mathematical talents went unnoticed until he was fourteen, when a family-friend discovered him making an elaborate drawing of a figure in Euclid with ruler and compasses. His mother being an active and ardent member of the Church of England desired that her son should become a clergyman. In 1823,De Morgan entered Trinity College, Cambridge, where he came under the influence of George Peacock, from whom he derived an interest in the renovation of algebra, and William Whewell, who raised his interest in the renovation of logic. He received his Bachelor degree but, because a theological test was required for the Master, something to which De Morgan strongly objected despite being a member of the Church of England, he could go no further at Cambridge being not eligible for a Fellowship without his Master. The two ancient universities of Oxford and Cambridge were so guarded by theological tests that no Jew or Dissenter outside the Church of England could ever be appointed to any position. Thus, De Morgan had to change plans and traveled to London to enter Lincoln’s Inn to study for the Bar, but found law unpalatable. At the age of 21, despite having no mathematical publications, on the strength of the strong recommendations of Peacock and Whewell he was unanimously elected to the chair of mathematics at the newly founded University of London. 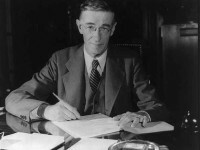 As being a new institution, the relations of the Council of management, the Senate of professors and the body of students were not well defined at the University of London. A dispute arose between the professor of anatomy and his students, and in consequence of the action taken by the Council, several professors resigned, headed by De Morgan. De Morgan regained his position five years later when his replacement accidentally drowned, and held it for thirty years until 1866. In 1837 De Morgan married Sophia Elizabeth Frend, with whom he would have seven children. The next year, in his article Induction in the Penny Cyclopedia he put mathematical induction, a process already in use, on a rigorous and clear basis. De Morgan was a rather prolific writer. Were the writings of De Morgan published in the form of collected works, they would form a small library. Besides his general mathematical writings he wrote biographies of Newton and Halley and published Arithmetical Books, in which he described the work of more than 1,500 mathematicians and discussed the history of various mathematical ideas. De Morgan never sought to become a Fellow of the Royal Society, and he never attended a meeting of the Society, holding the opinion that it was too much affected by social influences to be an effective scientific institution. His son George, who was a very able and promising mathematician, conceived the idea of founding a Mathematical Society in London. In difference to the Royal Society, the Mathematical Society should not only receive mathematics papers, but actually read and discuss. Founded in 1866 at University College, Augustus De Morgan became its first president. A few years later after the tragic loss of his son and his daughter, De Morgan’s health rapidly declined and he died of nervous exhaustion at his home on March 18, 1871. 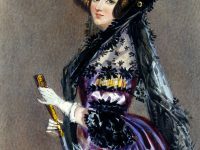 By the way, one of Augustus De Morgan‘s most famous students was Ada Augusta King, Countess of Lovelace, the daughter of Lord Byron, who should become the assistant of mathematician and computer pioneer Charles Babbage, inventor of the first mechanical general purpose computer…but this is already another story. 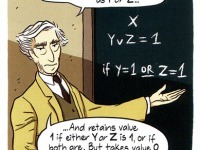 At yovisto, you can learn more about formal logics and esp. also about De Morgan’s laws in my lecture ‘Canonical Forms‘ from the Spring 2013 OpenHPI course ‘Semantic Web Technologies’.